Link to an in-depth review with many photos and details. . .
Polar M200 GPS running racewalking watch measures your heart rate from the wrist. Just tighten the changeable wristband and you're ready to train. 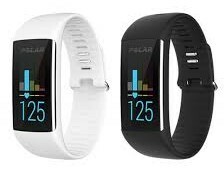 Polar A370 Fitness Tracker with 24/7 Wrist-Based Heart Rate and Connected GPS Offering personalized activity and exercise guidance, the waterproof Polar A370 now integrates continuous heart rate and fitness tracking with our all-new Sleep Plus analysis and phone-assisted GPS. It's your all day companion, now even more versatile. Find the balance: be active, have a rest and enjoy. Check out detailed features of the FT1 . . . The Stride length sensor with BluetoothÂ® Smart is for runners who want to improve their technique and performance. Track your speed, distance and stride length with the Polar Beat app, whether you are running on a treadmill or on the muddiest trail. Attach the Stride length sensor to your shoe and enjoy your training! Measures each stride you take to show running/walking speed and distance. Helps improve your running technique by showing your running cadence and stride length. Allows you to see how your running performance changes, with Polar's unique Running Index. Compact and fits securely on your shoelaces. Shock and water resistant, to handle even the most demanding runs. Compatible with iPhone 4S and later. Check out detailed features of the Polar Stride Sensor . . .
Polar H10 is fully waterproof and transfers heart rate data in water with 5 kHz transmission. The silicone dots on the Polar Pro strap make sure the sensor stays in place through every stroke and turn. Hook up Polar H10 with Polar Beat, Polar's free fitness and training app, and get accurate real-time heart rate directly to your phone. Not a fan of working out with your phone? With Polar H10 you can track your training session without your phone with you and transfer your heart rate data to Polar Beat after you finish. Just start a training session in the app, leave your phone waiting and get going. 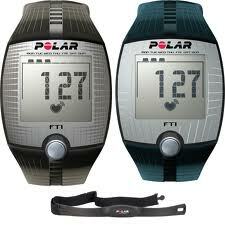 PRECISION The improved electrodes make Polar H10 the most accurate heart rate sensor in Polar's history. 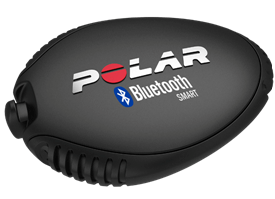 CONNECTIVITY Polar H10 is compatible with top fitness apps, gym equipment and many other Bluetooth devices. UPDATABLE The Polar H10 keeps on improving with OTA software updates. SUITABLE FOR SWIMMING The 5 kHz transmission makes sure you can monitor your heart rate even in water. 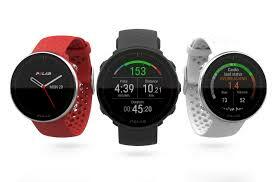 BUILT-IN MEMORY WITH POLAR BEAT Polar H10 has built-in memory for heart rate data from one training session. The data can be transfered to Polar Beat, Polar's free fitness and training app. COMFORT The new Polar Pro chest strap is comfortable to wear with soft textile material, slip-preventing silicone dots and a secure buckle. Check out detailed features of the H10 transmitter . . .
Books by Dave and recommended by Dave.